In this article I’m taking a look at the Best VPN for TalkTalk. 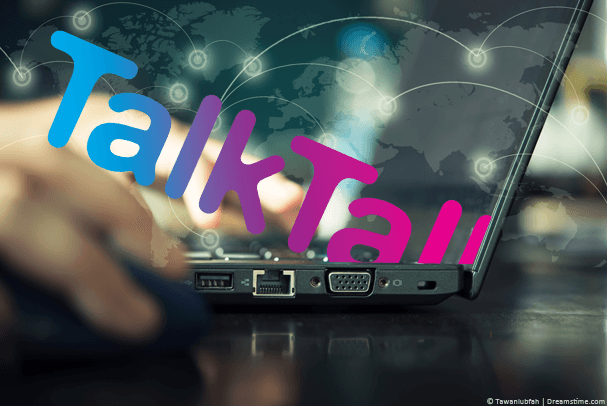 If you’ve got a TalkTalk subscription in the UK and you’re looking for the best VPN service to use it with then it can be difficult and lengthy process. There is just so much choice out there and knowing which to choose is almost impossible. Over the past few weeks I’ve been testing many different VPN providers to see which worked best with TalkTalk. Below are my findings. If you’ve got TalkTalk then simply sign up to one of the providers below, I found them to be the best out there. If you’re looking for the Best VPN for TalkTalk then you should start with IPVanish. 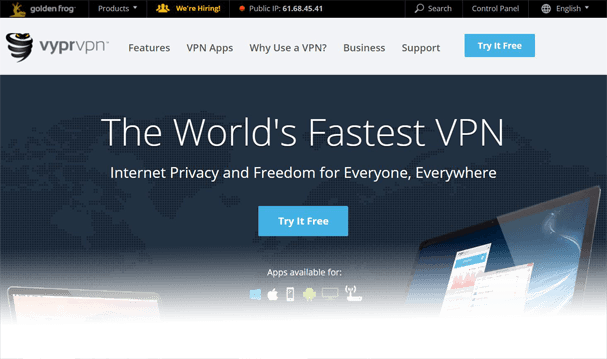 After extensive testing I found them to offer the best speeds out of most VPN providers. There are 4 locations across the UK including London, Manchester, Nottingham and Glasgow. Having so many regional access points allows you to get the best possible speeds. Software is available for Windows and Mac desktop and laptop computers with apps for Android and iOS so your tablet and mobile devices can be easily secured. All the major UK streaming services such as BBC iPlayer, Sky Go, BT Sport and more work with the service so if you go abroad you can access them. Or if you want to protect your privacy you won’t need to disconnect to watch those services. ExpressVPN have one of the biggest VPN networks in the world with servers in 94 different countries and 145 different cities. If protecting your privacy is the key reason for you using a VPN then the vast location list will allow you to tunnel out of the UK to nearly any other country. With such an extensive list of locations you’ll also be able to access content from other countries while connected to TalkTalk and using the ExpressVPN service. Software and apps are available for all major systems plus the addition of a Linux client for Ubuntu so if you use Linux then you’ll appreciate the support. There is zero logging on the service that means what you do while connected remains private and no history of your actions is kept. With a 30-day money back guarantee you have nothing to lose by testing them. StrongVPN have a lot fewer servers than all the other providers in this guide but don’t let that put you off… and I’ll tell you why. As a TalkTalk customer you’re likely to connect to UK servers the majority of times to give you the best possible speeds. StrongVPN have 7 UK locations – more than any other provider. Like the other providers they have software for PC and Mac and even apps for mobile devices using Android or iOS. So even though they have less worldwide servers they are still feature rich. The mobile apps are really easy to use too and although the desktop software is a little clunky looking it does the job with minimal effort. There is even a 30-day money back guarantee and while it isn’t as long as the other providers it does give you enough time to test the service on TalkTalk to see if it’s suitable for you. If you’re new to VPN use and you just want to get a service to use and forget about then VyprVPN should be the first you look at. The service works well with TalkTalk and the apps and software are some of the simplest I’ve come across. Simply fire up the software or app, hit connect and it will connect you to the fastest server. You can then just forget about it and go on with your daily routine. You can of course manually choose another location to connect to but it’s the most beginner-friendly I’ve tested. VyprVPN doesn’t allow torrent access so if you want to download from torrents on your TalkTalk service then you’ll need to stick with a provider like IPVanish who do allow them. A free 3-day trial is available. Just pop in your payment details and take advantage. If you don’t want to keep the service then cancel and you won’t be charged. 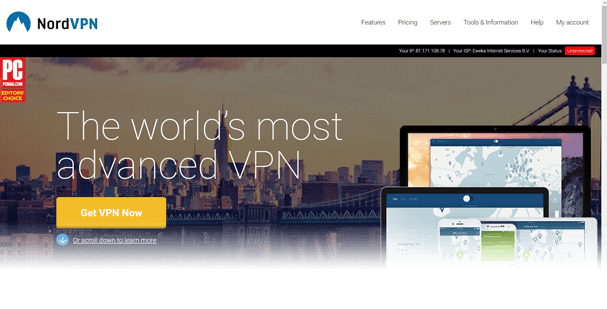 NordVPN offers one of the best choices for use with TalkTalk. They’ve got apps for all major devices include the likes of the Amazon Fire TV so whether you’re browsing the internet and sending emails or streaming high-quality video to your TV then you’ll be covered. Using the VPN from NordVPN will stop pesky hackers from snooping on your internet connection and allow you to avoid government snooping such as the Investigatory Powers Act. The price is highly competitive especially if you sign up for one of their 3 year packages and it’s even good value if you just choose a year. They unblock most major services including everything from Netflix to BBC iPlayer so there’s no trouble streaming your favourite services while staying secure. The above 5 choices are the Best VPN services for TalkTalk without a doubt. After extensive testing of a wide range of available services they offered the best service for use with TalkTalk. If you don’t have time to be searching about then just selecting any of the five will be fine. However, if you want to think about a few areas to consider first then take a look at my Top 3 reasons to use a VPN with TalkTalk below. The UK has in recent years become a big brother state. What you do, view and say online is monitored and can be recorded. TalkTalk is bound by such regulations. Even if you’re a law abiding citizen whole swathes of data can be logged allowing government bodies to build a profile of what you like and dislike. Using one of the five VPN services above will allow you to step outside this regulation and protect your TalkTalk connection from being monitored. Many websites in the UK are now blocked. This can range from whole websites such as torrent sites all the way through to simple videos intended for other regions. By using one of the five VPN services above you can send your TalkTalk internet connection via another country and access websites, videos and more than are blocked in the UK. If you like to watch overseas TV such as US dramas, Nordic thrillers or any other type of TV from outside the UK then one of the five VPN services above can let you access overseas TV services. If you visit an overseas website such as CBS from the UK directly on your TalkTalk internet connection you’re blocked from viewing. By simply using a VPN and connecting to the country the TV service is from you can stream all your favourite overseas TV shows easily. If you’re still confused and just want the Best VPN for TalkTalk hit the button below to visit their website.